Add one on to your upcoming banquet or charity event. What is an Opportunity Dice Roll? An Opportunity Dice Roll (ODR) is a fundraiser where you take donations online for a set price. Every donation buys an entry into the dice roll contest where the winner will receive a large cash prize. Every ticket sold is sent a unique 4 digit dice code and on the day of the event you roll the die 4 times to choose the lucky winner. The winner does not need to be present, so friends and family near and far can participate and donate. Want to create your free account now? When a dice roll raffle is added on to an existing fundraising event, 71% of ticket purchases are made from supporters who DO NOT attend the live fundraiser. 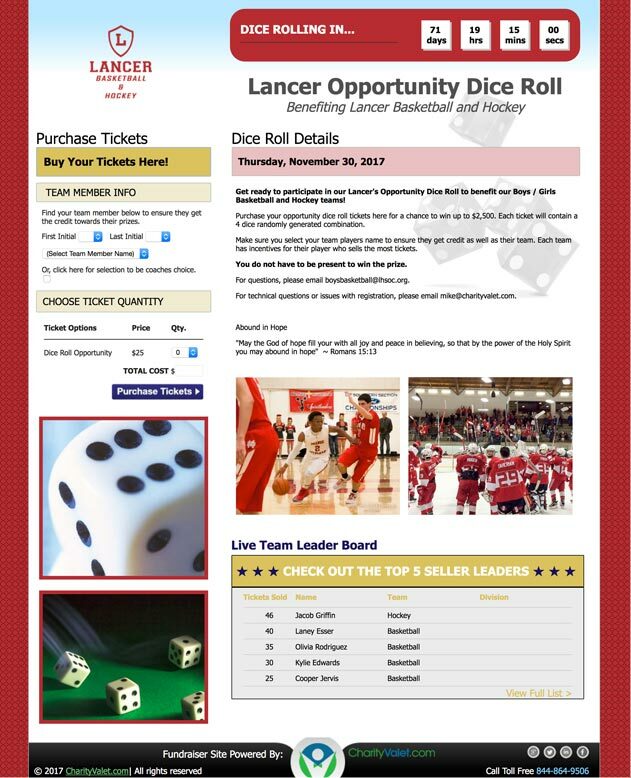 With Charity Valet fundraising software, Orange Lutheran High School hosted an opportunity dice roll fundraiser that netted $46,625 for their teams programs. Introduce the contest to your team and supporters and launch ticket sales! The site is set up to track sales, so incentivize top sales leaders. Share your page with the community and friends and family near and far. The winner does not need to be present to win, so this is the perfect way for supporters to participate and donate. 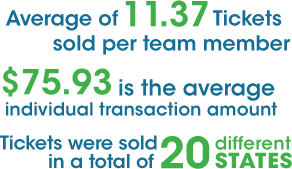 We make it easy for you to raise money and get paid quickly. With no upfront costs, no monthly fees and no credit card ever required, hosting a ball drop fundraiser is virtually risk-free. Charity Valet only charges a 10% fee, and we cover the 3-4% credit card fees. So, you simply start selling tickets then, we write you a check for 90% of everything you have raised at any time that you request one.